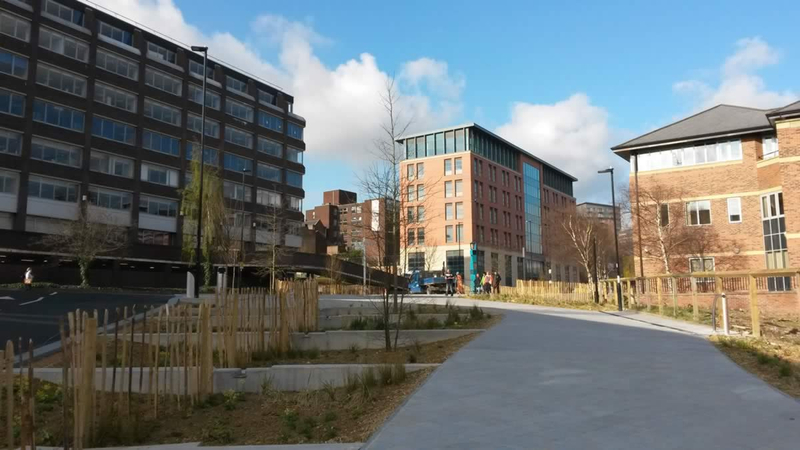 In the past, 10 years or so Sheffield has become known for its transformational public realm. Behind this lies the Sheffield City Council Landscape Architectural Team. 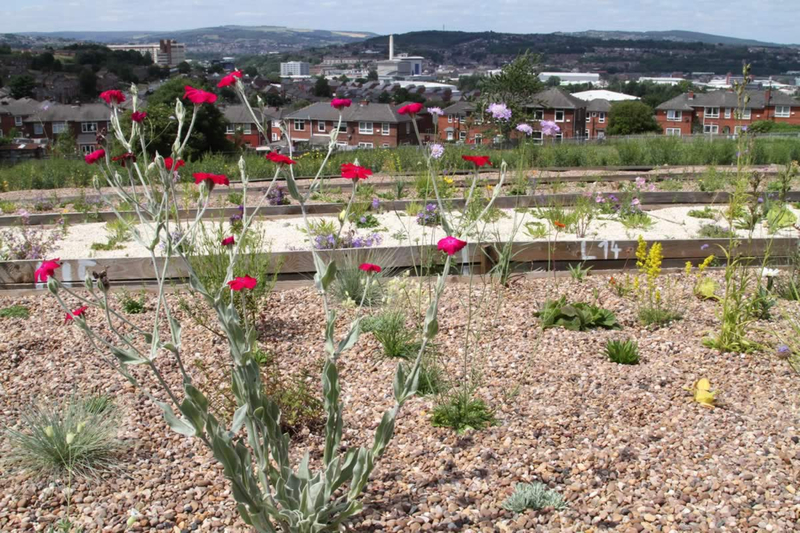 The latest of their projects is the hugely ambitious Grey to Green Scheme. 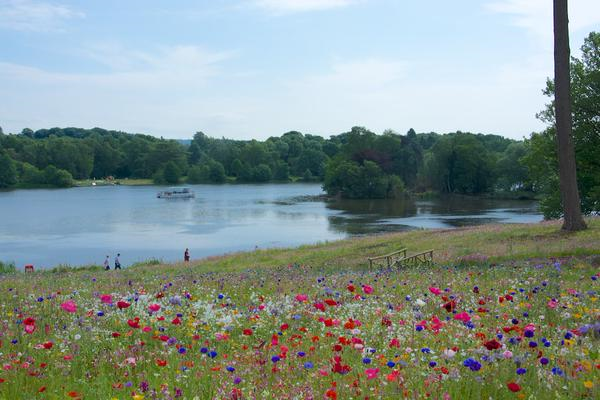 It’s so jam packed with flowers though that you have to hunt a little for the green. 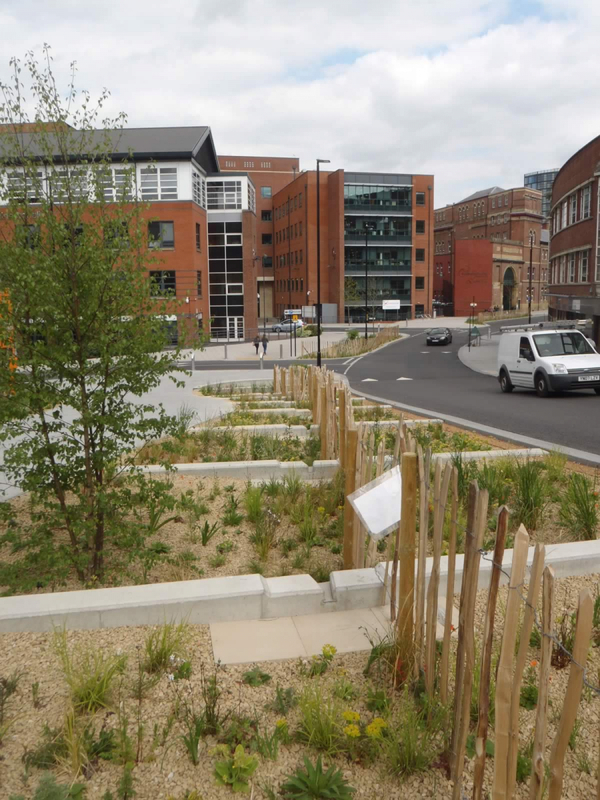 Not only is this new landscape a radical break away from the ugly concrete verge it has replaced but it’s been designed as a massive inner city rain garden taking and filtering the roadside surface water to help purify and reduce downstream flash flooding. 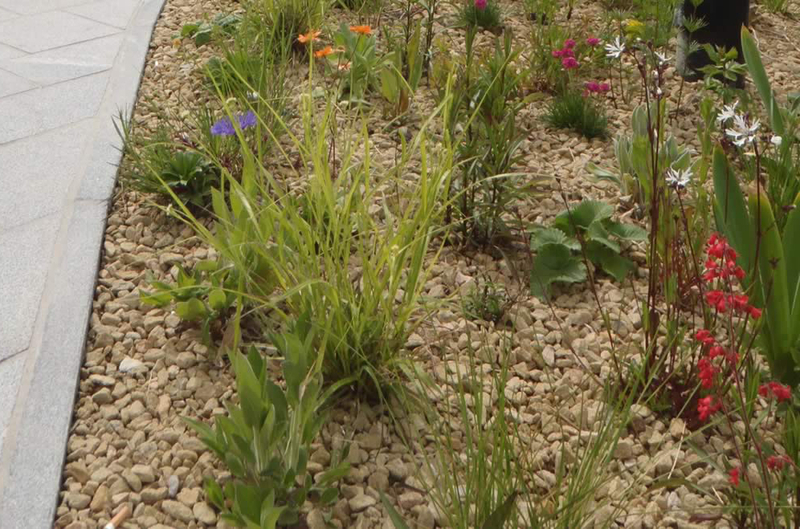 The scheme uses a technique of planting in deep gravel which originated in Germany. 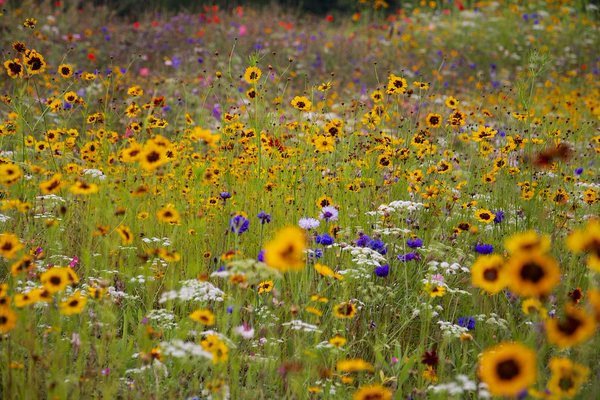 Plants used are those more commonly seen in Steppe Meadow landscapes. 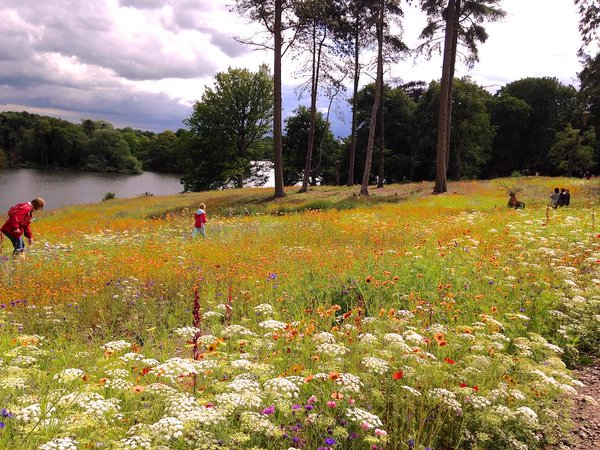 Landscape Architect and PhD student, Michael Livingstone, under the Supervision of Professor James Hithchmough set up trial beds in 2014 at Pictorial Meadow HQ which are now several years down the path of testing the parameters of this approach in our Northern England environment. 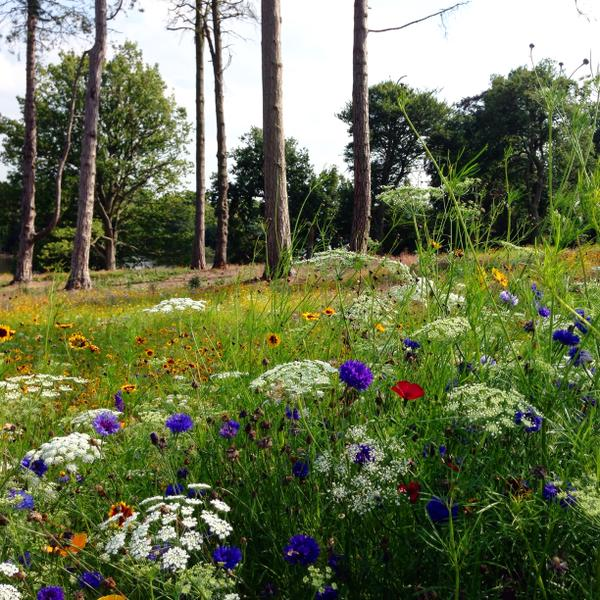 The Pictorial Meadows team were particularly pleased to be awarded the 3 year establishment contract for the Grey to Green scheme and are looking forward to be able to apply this ongoing R+D straight back into making our City Centre more sustainable and beautiful at the same time.